From looking at cable news, one would be forgiven for thinking that immigration is a binary topic: the left is in favor, the right is against. But as with most political issues, there’s a lot more nuance. On the political right, there are competing beliefs, but one of the strongest is the pro-business affirmation that immigration, for America as a whole, is a benefit to the nation. Perhaps no group on the right argues that belief more strongly than the Cato Institute, the libertarian think tank that on other issues disagrees vehemently with the political left. 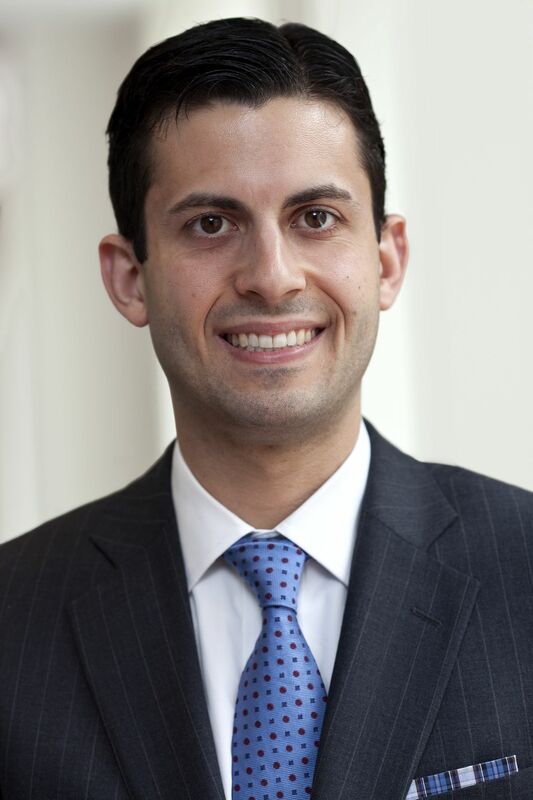 Alex Nowrasteh, an immigration policy analyst with the organization, is a southern California native. While he is not an immigrant or child of immigrants himself, he recalls that he did grow up in a region that was enriched by immigration. The Cato Institute has consistently posited its support of immigration, saying that the numbers are clear: immigration is a net benefit to the United States across the board and that there is no evidence of any crime wave linked to immigrants, documented or undocumented. Nowrasteh spoke to Smithsonian Second Opinon about immigration, history, and the hard numbers. This interview has been condensed and edited for clarity. An immigrant is somebody who is born in one country and then voluntarily moves to another country to live there, and intends to stay there permanently. What if they don’t intend to stay permanently? What’s the nomenclature? It either makes them a migrant or a sojourner, another word. Migrant is also used for people who move inside the United States, to a different area or location. Temporary migrant, guest worker, there are sort of a lot of different phrases that people use to describe the temporary movers. What do the numbers show on immigration to the United States? Whether you look at it economically or you take at issues of public safety, criminality, terrorism — the upside for native-born Americans is positive and if you include the immigrants, if you include the new Americans, the upside is tremendous. It’s gargantuan basically no matter how you measure it. People can disagree on things like culture, right? I mean, that’s subjective. If you think it’s good or bad to have different food options — I think it’s good, some people think it’s bad, that’s subjective, you can’t really argue that — generally, though, people do tend to like more options. They like more wealth, they like more employment opportunities, they like more choices, and immigration brings all of those things. So where do these stories about immigrant crime come from? Why is it so easy to demonize new Americans? If a native-born American commits a crime, it’s not really news. But for some reason, if a foreigner commits a crime, that gets a lot more attention. People are interested in that. They say, well that crime didn’t necessarily have to happen, because that person didn’t necessarily have to be here. But people have a bias. I think this is everybody, in every country, or in every place throughout history — people just don't like foreigners that much. They hold foreigners to a different standard, to a higher standard. They're more likely to assume nefarious motives and deeds to people from outside your tribe. I think it’s because of our psychology: having evolved in small bands, having evolved in small bands and tribes that for the most part were homogeneous, linguistically, ethnically, racially, culturally homogenous. Now we live in a modern society that's better materially in every way, but of course the psychology is still the same because evolution is very slow, so here we are. We have the mindset of hunter-gatherers, living in a modern capitalist cosmopolitan world. How prevalent are these views? I don’t want to exaggerate how many people think this. But you take a look at Gallup polls, over time, they’ve been taking this survey since the 1960s. They ask people if they want more or less or the same amount of immigration. And the amount that wanted less immigration peaked in the mid-1990s, and it since has basically halved. It’s gone down to about 38 percent from about 66 percent during that time period. Meanwhile the group that wants more legal immigration has gone from about 7 to about 25 percent during that time period, while those who want the same has increased as well. So, I don't think we’re in a particularly nativist time when you take a look at the opinions of the average American or the median American voter. What about undocumented people? What do they bring to the debate? The [economic] benefits are still positive with undocumented immigrants. It's just that they're more likely to be lower-skilled workers in the first place, and the benefits are more likely to be low. They're also less likely to be secure here, of course, because of the legal problems that they have so it's hard for them to improve their lots as quickly as other immigrant groups do. But it's still positive for the United States, it's still positive for GDP, for economic output. Each person, each immigrant who is here — they don’t create jobs for Americans, they create job opportunities. Immigrants, no matter their background, increase the supply of workers. That’s what everyone thinks of, because supply increases, prices go down, wages go down — but they also increase demand, because they’re people and they buy things. That increases demand. That increases wages for folks, increases economic opportunity, and when you take a look at it on the whole, wages go up more, for more people, than they go down. It’s a net benefit over the long run. And I think people do view undocumented immigrants more negatively, because in one way or another they are violating a law, and people sort of associate one law violation with being a criminal in other ways — even though most immigration violations are not criminal. The people who are most likely to say “illegal is illegal,” or “these people are violating the law, and we need to punish them” are the ones least likely to know what the law actually is. This, I think, goes back to American history. This country had practically open borders to most of the world, and so we have this sort of culture where we've grown up saying, “Anybody can come here legally, you just do it.” And if that's what you think that's how it works today, seeing illegal immigrants you must think, well, what do these people have to hide? Why don't they just go down to the post office and legalize? You have to explain, no, that system closed down about a century ago! And it was closed even earlier than that for Chinese and Japanese and other immigrants. If that's how you thought it still was — you just go to Ellis Island and get in line and they clear you in a day or two, your response would be, "What do they have to hide? That's terrible!" That makes sense if that's how you think the world works. But that's not how the world works. That's not how the Wall works. Is America unique in how we react to newcomers? In a way. [This dynamic] is the Europeanization of American political parties. Because in Europe, what it means to be a nationalist is based on a blood, borders, and culture definition of that. So that’s like a tribal identity that goes back thousands of years and settled that area, very difficult to join a member of that tribe. The United States is not so much an ethnic identifier, because that would be kind of silly — what does that mean? — because we’re so much more radically diverse than any country in Europe by a long shot, if you count countries of origin. So what this really is, is sort of the American conservative party is becoming like a European nationalist party in the sense that it is sort of adhering to this smaller version of what it means to be an American. Nationalism is being defined by what they consider culture and the borders and to an extent, not as explicitly as in Europe, but to an extent, also ethnicity. Which is pretty new; that doesn’t happen very often in the United States, because you can’t really pull it off successfully, but there is increasing evidence that there is just a large number of people who feel this way, and who ask questions — if you say you’re an American, they’ll say, where are your ancestors buried? It seems every three or four generations, there seems to be a freak out. People seem to really worry about immigration, and America because of immigration, and we seem to be in one of those right now. So I don’t know if there’s any model that can explain it, or if there’s any sort of mathematical predictive power, but it seems to be every three or four generations. I think part of it is you just forget — you forget that everybody freaked out about the Irish, about the Italians, but everything turned out okay and now people have the same complaints about a different group, even though things are going fine — but people forgot that because it was too long ago. The 1850s one lasted about a decade before the Civil War happened. The one in the 1920s lasted for about a decade too. The thing is [now] there’s a large immigrant population. There’s really no economic argument for closing it off, and people realize that, increasingly so. And the thing is, all the other nationalist policies, like anti-trade policies, anti-immigrant policies — they don’t work. And I think when people realize they won’t work, they’re going to get rid of it.